Dogs, deceipt and animal rescue practices. Are you guilty? 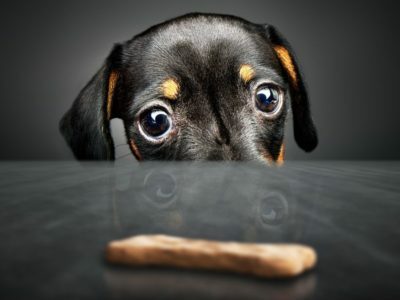 Do you operate through deceit like your dog does? Home arrow_forwardThe Doobert Caretakerarrow_forwardDo you operate through deceit like your dog does? We asked, you answered the Doobert Survey! Loved meeting Sally – Palm Coast to Jax! There was an interesting study published recently that was picked up by a variety of news sources that focused on how dogs can be manipulative and deceitful just like humans. You can read more about this interesting study here: https://link.springer.com/article/10.1007%2Fs10071-017-1078-6. This experiment got me thinking about how humans can be 10x more deceitful than any dog ever could and the repurcussions to relationships in the process. In the animal rescue world, there are always those that are looking to deceive you and their practices take a toll on those trying to do good. I often get “random transport requests” and strangely enough the ones that appear to be the most deceitful follow a similar pattern. They are urgent, usually needing action within 3-5 days or the animal will be euthanized, and the requestor is somewhere thousands of miles from the animal. The requestor almost always asks for money to help them or they make it clear that they cannot pay for anything and need help. Ironically enough the requestors usually refernce someone in the military that had to deploy quickly which is what caused their predicament. This particular recurring theme usually gets my attention the most. I always respond to every request for help even if I think the person is being deceitful. I know that many in rescue have been hardened by these deceitful types of requests to the point that they often do not respond to these random inquiries because they have proven to be a waste of time in the past, and I respect their decision to focus their time accordingly. Think about your rescue practices and how you go about raising awareness to animals in need. Are you truthful and transparent, or do you bend the truth and sensationalize the situation in order to get the attention you feel you deserve? When people feel they have been deceived it usually triggers strong emotions and feelings of anger. So before you stretch the truth about that next animal in need, about that transport that must fill or it will be cancelled or that fundraiser that you are trying to raise money for, think about the impact if people perceive you are deceiving them. While you might get attention to that current situation, the repurcussions when you’re found out to be deceiving can cause future problems.